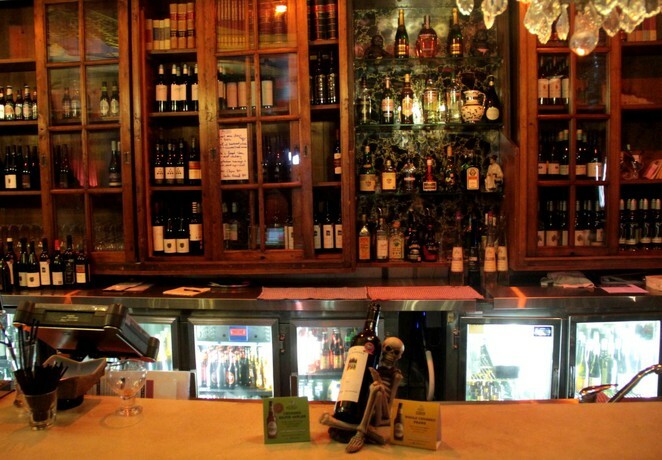 My father, a Marrickville resident, is always in search of a good drinking hole and for some time had been lamenting the lack of interesting and fun bars in Marrickville. So, I directed him to Illawarra Road, just off the corner of Marrickville Road, to a small, dark stairwell. Upstairs, he found the LazyBones Lounge waiting for him. One tends to associate Marrickville's nightlife with stylish restaurants, relaxed pubs and - of course - cheap Vietnamese. Now, there's LazyBones. 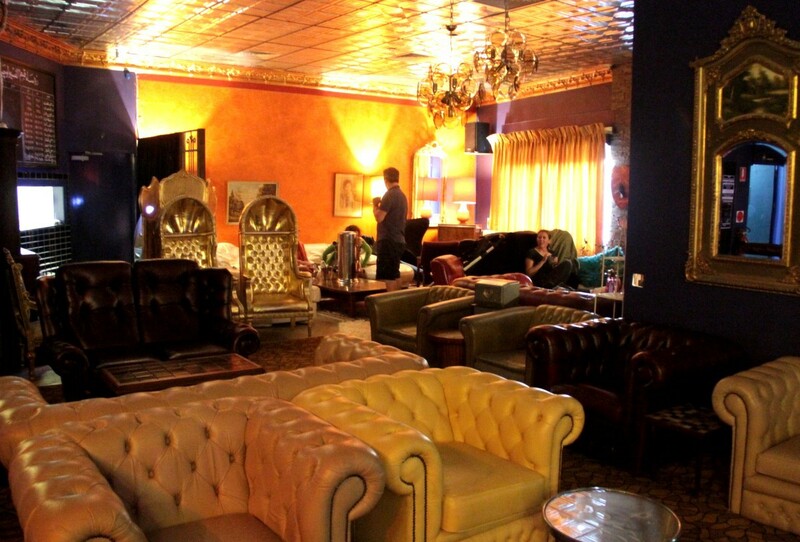 Open 7 nights a week, LazyBones is a large, funky bar which features live music most evenings. Think jazz. Think big bands. Think soul, the blues and rock. People can keep updated on the upcoming acts via the LazyBones Facebook page. The gigs won't set you back much; most are only around the $10 mark and many are even free. Owner Craig Pietersen says that LazyBones is "all about music" and this is illustrated by the fact that the bar's name was inspired by a Fats Waller song. TV and gambling is long forgotten in this venue; people are here to socialise with good drinks, tasty grub and dance-worthy music. First step inside the bar, the space feels overwhelming, as evidenced by the initial bewildered look on my father's face. It's huge, it's colourful, it's wild. Second step inside, the space feels wonderful. By the entrance, a mannequin welcomes you in and, even when sober, I always mistake her for a real person. Further in, couches and lavish armchairs fill up the floor, orange bar stools adorn the rim of the bar, large mirrors flash here and there and you'll have to decide for yourself whether or not you're taken by the huge Kama Sutra painting on the ceiling. 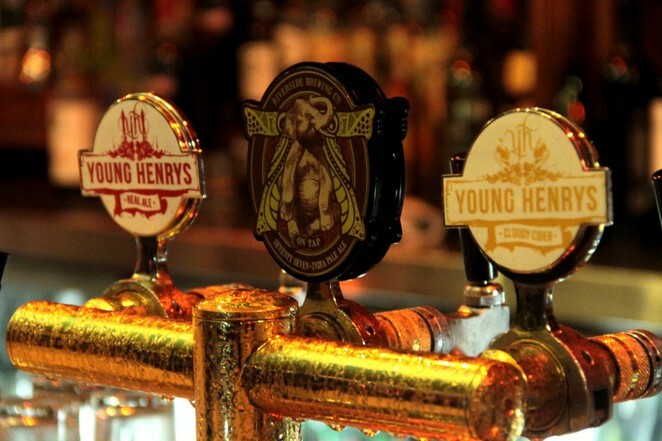 On tap is the Young Henry's Real Ale ($7), a winner of a beer from the Enmore brewery, an Indian Pale Ale with strong, delicious flavours from Riverside Brewing Company in Parramatta ($7) and a cider which is on rotation. The wine list includes a good range of Australian and international wines, with the highlight being the Funny Label Sauvignon Blanc ($8), from Marlborough, New Zealand. If spirits, however, are your tipple of choice you're in good hands as there's a solid selection on offer behind the bar. While the food menu is not overly extensive - it's basically a bar snacks menu - it has some good inclusions which will see you through the night. The pick of the menu is the Bunny Chow ($12), which my dad's partner practically jumped for joy to see. 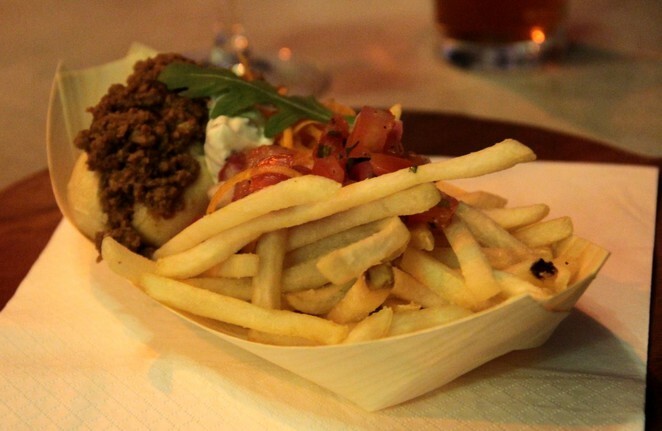 A traditional street food dish from Craig's homeland, South Africa, the dish features different mixtures served in small, hollowed-out dinner rolls alongside crispy, thin fries. The 'Cape Town Dizzy', a spicy lamb curry, is perfectly cooked with delicious, aromatic flavours. The specials board is always replete with intriguing snacks, such as delectable hot dogs, and each dish has a vegetarian option. We left my elated father and his partner at the bar. Now they had a bar with the feel and spark that all of Marrickville's pubs lacked. As a parting note over a glass of beer, my father declared that he'd finally found his local.